The present drop at The Royal Marsden happend today, thank you to everybody that donated and sorry if I didn't promote too much, but I know we would have ended up with so many gifts! There was method in my madness. Thank you to Kirsten whose idea it was and who done the drop. 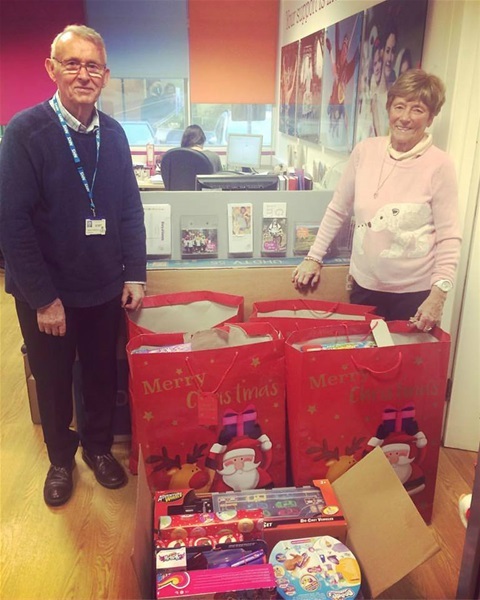 We even have enough presents to a do a drop at QEQM Rainbow Ward. Amelia is underway on stage 4, we met with our consultant last week and she is very pleased with Amelia's progress. This stage will take us to the middle of February, then into maintenance. Energy levels are still good and although Amelia gets tired quickly we are able to do a few outings. We thank you all for your support in the last 6 months, as I've said we couldn't have done this without our support network of our family and friends. We hope you have a lovely Christmas, in all the hustle and bustle over the next few weeks, please do me a favour, stop and appreciate what you have. Something I never done enough off pre June 2016. Merry Christmas and a Happy New Year, here's to a brighter 2017.